Berta the bird: soaring in search of a comfy new perch. 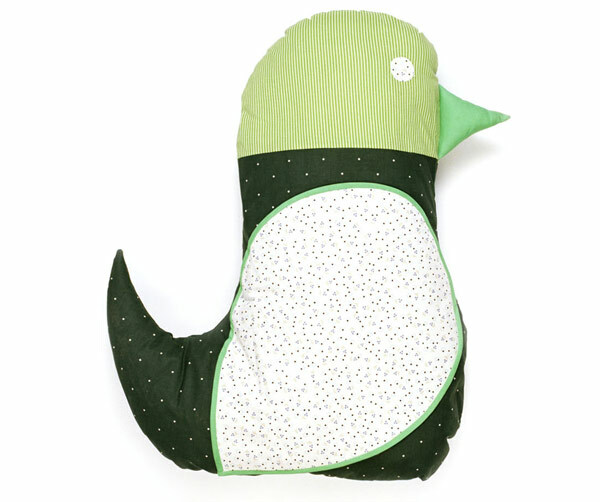 This creature cushionâ€™s bold colours and eye catching patterns will capture imaginations for a fair while. She can be named or blamed, cuddled or pummelled, befriended or upended, flung to or sung to, sat on or splat on.